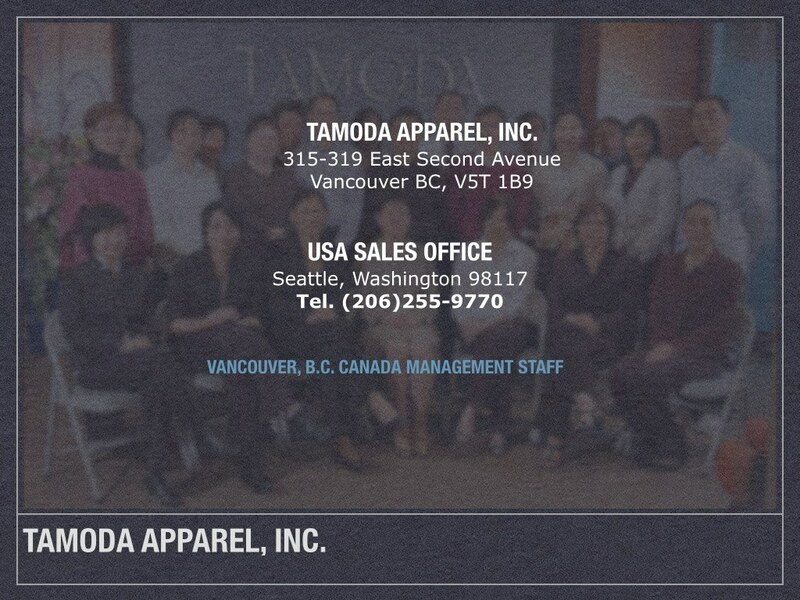 Contact | Tamoda Apparel, inc. Thank you for your interest in Tamoda Apparel, inc. and we look forward to talking with you. We also welcome you to visit our factory to meet our staff and discuss your apparel needs.